Springtime’s warmer weather makes you want to kick up your heels in the great outdoors. Maybe you like hiking in the woods or playing some softball with your friends. Or, you might take the kids for a stroll along the Murphy River Walk. And if you’d enjoy a good old-fashioned family picnic, with a cooler full of sandwiches, sides, and cookies, you’ve got your choice of destinations. 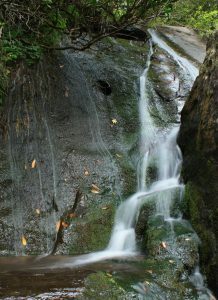 You’ll find one enticing picnic spot in Murphy, NC, and two more in Cherokee County. Just a short drive away, neighboring Clay County offers another option. So get ready to hop in the car and enjoy some fresh air and good food. This expansive community park borders the scenic Valley River, and is jointly operated by the Town of Murphy and Cherokee County. Besides the baseball and soccer fields, you’ll find a nicely maintained picnic area along with a kids’ playground. Whether you’re a seasoned bass or trout fisherman, or a first-time angler looking for a taste of mountain lakes fishing, you’ll find numerous good fishing holes within an hour’s drive of Murphy, NC. In fact, our mountain region offers eight major lakes, four delayed-harvest trout streams, and countless numbers of rivers and creeks. You could literally fish for weeks in a different place. To better plan your fishing expedition, decide which species you’ll be stalking. 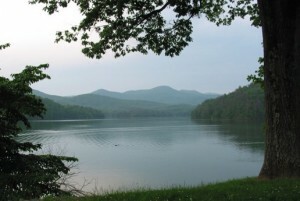 If you’re a confirmed bass fisherman, check out Apalachia, Chatuge, Hiwassee, or Nottely Lakes. Chances are, other nearby lakes and rivers also have their share of bass just waiting to take your bait. While many locations offer banks fishing, some spots also feature public boat ramps so you can better stalk those crafty fish. If you prefer fly fishing, you’re probably in the best spot on earth for catching trout. 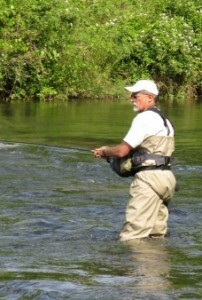 Cherokee County boasts several wild trout streams, along with hatchery-supported streams with date-specific releases. For starters, you’ll find wild trout waters in Cherokee, Clay, and Graham counties; along with world-famous Nantahala National Forest game land. During trout fishing season, lasting from April through February, you’re likely to find anglers’ trucks parked in varied out-of-the-way spots. If you look closely, you’ll see fishermen standing motionless in their waders, trying to coax a wily trout out of its underwater hollow. For these guys (and ladies), catching the fish is satisfying, but the experience itself provides its own rewards. Now, let’s say you’ve fallen hook-line-and-sinker for a mountain lakes fishing trip, and you can’t wait to get up here. First, book yourself a cozy mountain cabin from the friendly folks at Mountain Country Cabin Rentals. Next, get onto the North Carolina Wildlife Resources Commission website, and purchase a fishing license. In fact, the Sportsman’s License allows you to fish – and hunt – most game in our region. While you’re browsing the site, take advantage of the NCWRC’s great fishing-related resources. When you arrive in Murphy, NC, round out your fishing gear at Appalachian Outfitters on Tennessee Street. If you enjoy collecting hand-tied flies, you’ll find a great selection here. Best of all, you can talk with an experienced fishing guide, just brimming with local knowledge about current fishing conditions. Chances are, you can hire him for the day, giving you the inside track on those secret fishing spots. And because we like fishing, too, we might see you out there. And if you love being here like we do, make it home! Whether Murphy NC becomes your primary home or second home, that’s ok! We’d love to have you as neighbors 🙂 Check out all our listings and contact us to let us know what we can do to help you find a home right here in Murphy NC. 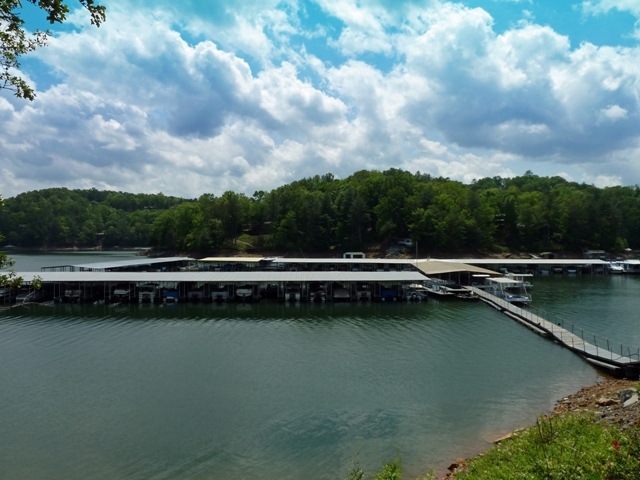 This spectacular LAKE HIWASSEE in Murphy NC Information DEEP WATER LAKEFRONT home for sale in Bear Paw Resort Information in Murphy NC has SO much to offer! Two 2 massive porches to enjoy the lake, sloping yard, pavilion on the water, and a private dock let you enjoy the lake any way you want – imagine swimming and boating all summer. The living room has high ceilings and tons of light. The french doors virtually merge the porch to the interior. Inside you have a master suite, loft, and a second bedroom which offers lots of space! The FULL FINISHED basement has a full bathroom and will make a great recreation room, sleeping quarters, and can easily be made to multiple more rooms. Located in Bear Paw, you have many amenities such as the marina, pool, tennis & basketball court, gated entrance, and more! Here you can see our event co-ordinators, Debbie Weatherly and Trevor Lovin, showing off their huge pile of trash! Once a year, folks converge on Lake Hiwassee in Murphy NC for an event known as “The Big Sweep.” It’s a noble event with a single goal – to remove trash from the shore of one of Murphy’s best kept secrets. 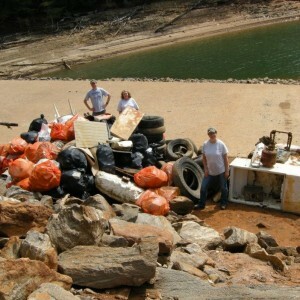 The 2012 Lake Hiwassee Big Sweep was this past Saturday at the Hanging Dog Campground. Albeit a rainy day, especially in the morning, about 60 or so dedicated people showed up and raked in a huge pile of trash! As you can see from the picture, it’s quite a bit of trash. The stockpile included a couple dozen tires, an old refrigerator (how’d that get in the lake?!?! ), LOTS of plastic bottles, glass bottles, and other general junk. There’s no telling where it all comes from, I just know there’s a whole lot less out there. And in fact, there was approximately 15,000 pounds of trash removed! Katie and I arrive geared up to kick some trash! It’s a great event that’s a lot of fun! You get to spend time with friends, make new ones, get on one of the prettiest lakes you’ve ever seen, and make a positive impact. A good customer and friend, Mike Briggs, even joined us before his house hunting trip! Even he thought it was a great trip and wants to go to it next year. It’s a great cause, so we certainly would love to see you there next year! It’s official! The North Carolina state record has just been broken! Tyler Shields of Murphy NC just caught a 66.1 pound striped bass! It’s a HUGE fish at 47.5 inches long and a 35 inch girth. It was caught using 10 lb. test line with a Zoom worm! It’s quite an amazing story of a record caught right here on Lake Hiwassee. What’s even neater is the previous state record was set in 1991 with a 54.2 lb. fish also on Lake Hiwassee. To everyone else, happy fishing! Read more of our Posts on Lake Hiwassee. I must admit that I absolutely LOVE Lake Hiwassee in Murphy NC, and the four marinas that service lake goers are an absolute asset. Mountain View Marina is located right in the heart of Bear Paw Resort. Even though its located within a gated resort, it’s open to the public. Just tell the guard at the gate you’re headed the marina. Boat rentals of well maintained boats. roughly $35/hr or $105 for a half day or $160 for a full day. Boat slips for on-the-water storage. 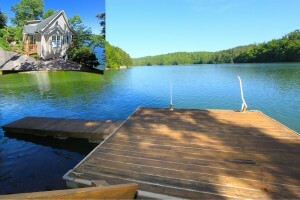 Looking for real estate on the lake? Let The Poltrock Team help you! You can search ALL the real estate listings in Murphy and on the lake or let us do the work for you by using our dream home finder. And don’t hesitate to call us on the phone! We’re here for YOU! The Hiwassee Dam is one of my favorite things to see here in Murphy NC. If I’m showing homes or land in the area, I always love to take folks to see it. At 307 feet, Hiwassee Dam is the third tallest dam in the Tennessee Valley Authority (TVA) system. It stretches an 1,376 feet from bank to bank of the river, and I must admit, is an amazing sight to stand at the bottom of and see just how big it really is. It was part of Franklin Roosevelt’s New Deal to provide work for people and help bring the United States out of the Great Depression. Named after the Hiwassee River, the dam is responsible for creating Lake Hiwassee and generating an impressive 185 Megawatts of power, which is enough power for roughly 185,000 homes in green power. Construction began on Hiwassee Dam July 15, 1936, and it officially opened for operation on February 8, 1940. At a price tag of 24 million at that time, it was a sizable, and expensive, undertaking. It had dual purposes – to generate power for the region and provide flood control for the Chattanooga area, which is why you see the waters of Lake Hiwassee lower in the colder seasons of the year. Building the dam required purchasing 24,102 acres. It took 3,836 acres that had to be completely cleared. What’s even more amazing is that it required 261 families, 462 graves, and 25 miles of roads that had to be completely relocated to a new area. 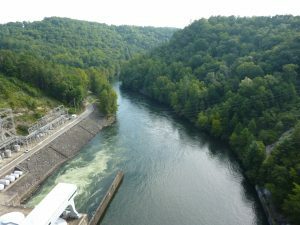 So while you’re here in Murphy, you certainly need to go see the Hiwassee Dam. It’s a great area attraction that’s beautiful in its own right. To get to it from Murphy, take 64 West. Turn right on 294. Follow to a right on Hiwassee Dam Access Road. Follow it a few miles and you’ll drive right over the dam. Lake Hiwassee is a gorgeous resource here in Murphy, and I find myself writing about it often in many different articles. A week ago today was the annual Big Sweep. It’s an arranged group of folks who spend at least half their Saturday on Lake Hiwassee cleaning up trash in different coves. Jessica and I did it, and I have to admit, it was a lot of fun! We even did it on our canoe, so we paddled the whole way! It was a bit more work, but I have to admit, it got us to places where larger boats would’ve had trouble and was fun. It was organized by Silas Allen, our very own head of the Cherokee Building Department, and Susan Hersh (who I might add is the “face” of the Building Department as you always see her running the show when you go in 🙂 ) It takes ton of preparation and organization, and thanks to them, the turnout was great. There were roughly 130 volunteers, 20 boats, and an estimated 20,000 pounds of trash taken from the shores of the lake. This year’s focus was right around Bear Paw. 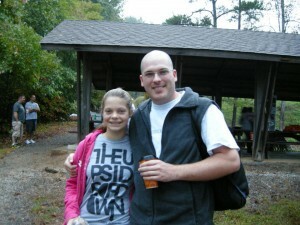 It was such a great event – it was on the front Page of this week’s Cherokee Scout newspaper. The majority of the trash come from the rivers, creeks, and streams that are tributaries to Lake Hiwassee. It’ll come from someone’s yard and eventually end up in Lake Hiwassee. We found lots of things in the lake such as tennis balls, countless plastic bottles, Skoal cans, tires, coolers, televisions, and tons more. It’s amazing how many things end up in the lake, and it was nice to know we were able to make a difference.